Luminette Privacy Sheers provides a reliable system and comes in many fabric choices with 180 degrees rotating vertical fabric vanes. Diffuse harsh lights with beautiful sheer fabrics, yet controlling the right amount of natural light that you want. Evening Star® fabric is an opaque fabric that provides a room-darkening effect in four fabric styles. 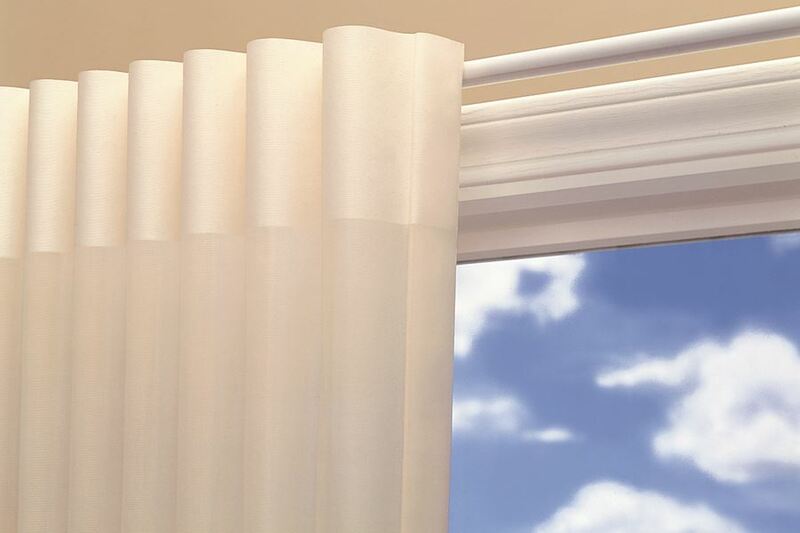 Fabric vanes rotate for desired amount of light and privacy control. Innovative wand and cord controls all functions. SofTrak™ scissor headrail system assures easy, reliable operation. Neutral white fabric vanes present uniformed look from outside of the home. Side stack or split stack is available. Counterparts® programs with Silhouette® window shadings and Vignette® Modern Roman Shades are available. 100% polyester fabrics are very durable and easy to clean. « Evening Star blocks 99% of the light coming into a room. 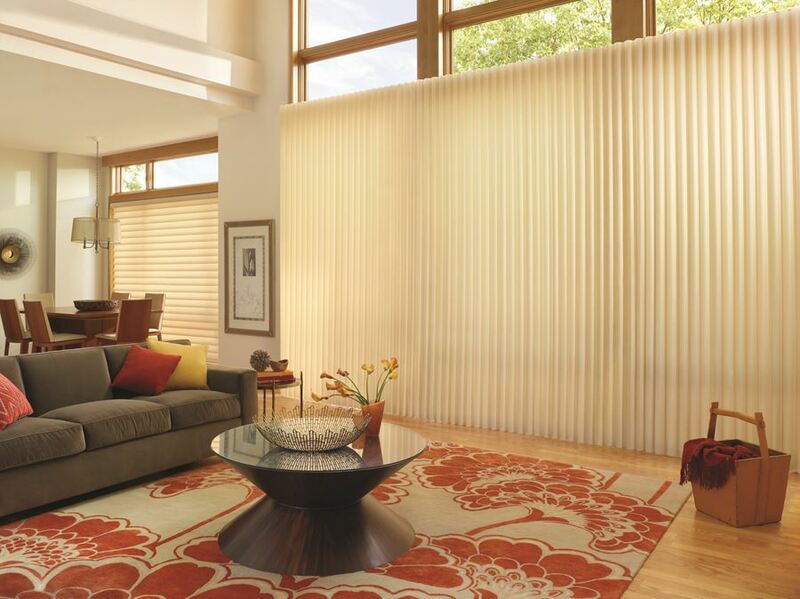 Luminette® Privacy Sheers can be rotated to direct light or traverse to fully open or closed. The controls are all in one easy-to-use wand, eliminating several cords. The SofTrak™ system is a proven system that is very durable and reliable. The neutral white fabric is a uniformed look from the outside of the home. This is becoming more and more mandatory in HOA. Flexible opening and stacking on a window. Determined by the window (for instance a patio door might have a one-way stack). Accents by the Yard™ allows a customer to order cut yardage of Luminette fabric, giving the customer a unique decorating option. Luminette fabrics coordinate with several Silhouette® and Vignette® fabrics, using the Counterparts® program to complement shadings for vertical and horizontal windows.